New Delhi: The Minister of Urban Development Shri M. Venkaiah Naidu has said that unless we create more wealth, we can distribute only poverty. Addressing the 3rd National Leadership Conclave, organized by All India Management Association (AIMA) here today, he said that nations, such as India and China, earlier believed in distribution of wealth, but the focus has now shifted to generation of wealth. He said that Asia, particularly India, has to come out with creative ideas that create wealth. 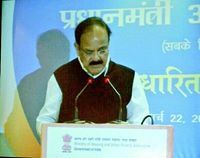 Shri Naidu said that India has abundant knowledge but there is a need to recognize and upgrade it. He said that some parts of Asia, including India, are underdeveloped and development has no meaning when it does not include all. The Minister said that the poor have to be included in the developmental process. Shri Naidu said that there is new hunger everywhere, i.e, hunger for development, hunger for progress. Shri M. Venkaiah Naidu complimented AIMA for rendering valuable services in terms of management, education and profession in India. He said that good leadership and management is the key to success in any sector. The word ‘Governance’ became a buzzword during the 90s and for good governance, there is a need to reform, perform, transform and inform, he added. 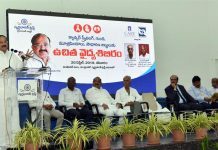 Shri Naidu said that there is a global slowdown since 2008 and in 10 years from now, China, India, Japan, South Korea and Indonesia are likely to be Asia’s largest economies. He said that three of the world’s largest economies are in Asia , – China, India and Japan and in next few years, the real competition will be between India and China, as India will overtake Japan soon. 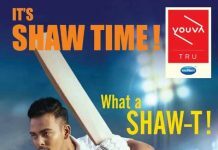 He said that China has chosen to concentrate on low cost manufacturing, which has contributed a great extent to its GDP but India has chosen to concentrate on the Service Sector which enabled India as a preferred destination for Business Process Outsourcings (BPOs), due to advantage of the English language. Shri Naidu said that the Make in India initiative was launched to promote India as an investment destination and a global hub for manufacturing and design. The Minister of State for Civil Aviation, Shri Jayant Sinha said that India’s development is frugal since we use less carbon, less capital and less natural resource to create a product and at the same time make the product affordable to all. He said that the developmental model of India is good for Asia and the world.